Excerpt: The best way to comprehend Bears Ears is to take wing. 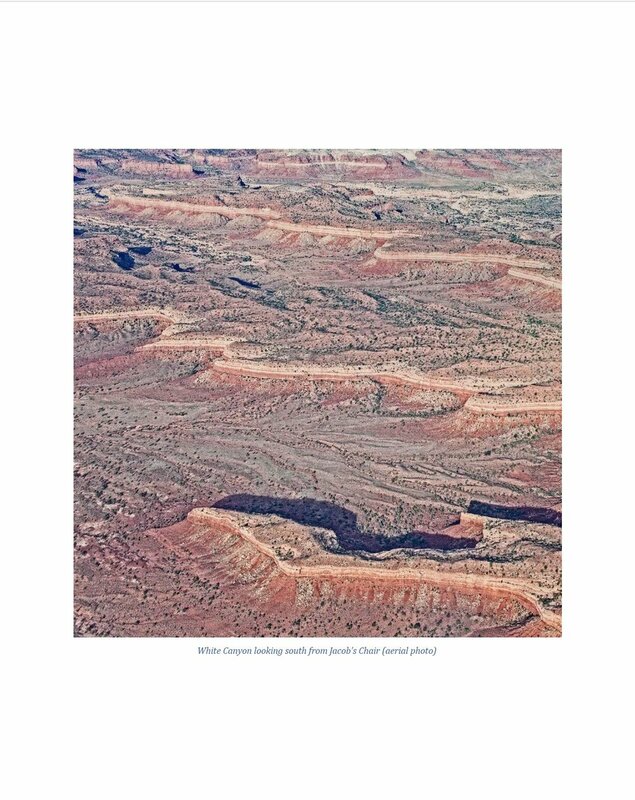 With the benefit of a bird’s-eye view, the scale and rhythm of the landscape come into full relief: the endless ridges, buttes, mesas, and canyons, sculpted and painted by water and wind, glowing red at sunset and gleaming white at high noon, streams and rivers the veins and arteries through which the desert’s lifeblood and scarcest resource flow. The land bears witness to explosive emergence and tectonic shifts that shaped the earth into otherworldly formations: cinder cones, rainbow bentonite hills, and jagged anticlines. It is country that both tests the body and stirs the soul. ORDER YOUR COPY TODAY FROM AN INDEPENDENT BOOKSTORE! INTERESTED IN AN E-BOOK WITH INTERACTIVE PANORAMAS AND LINKS TO PRIMARY SOURCE DOCUMENTS? Click here to order. 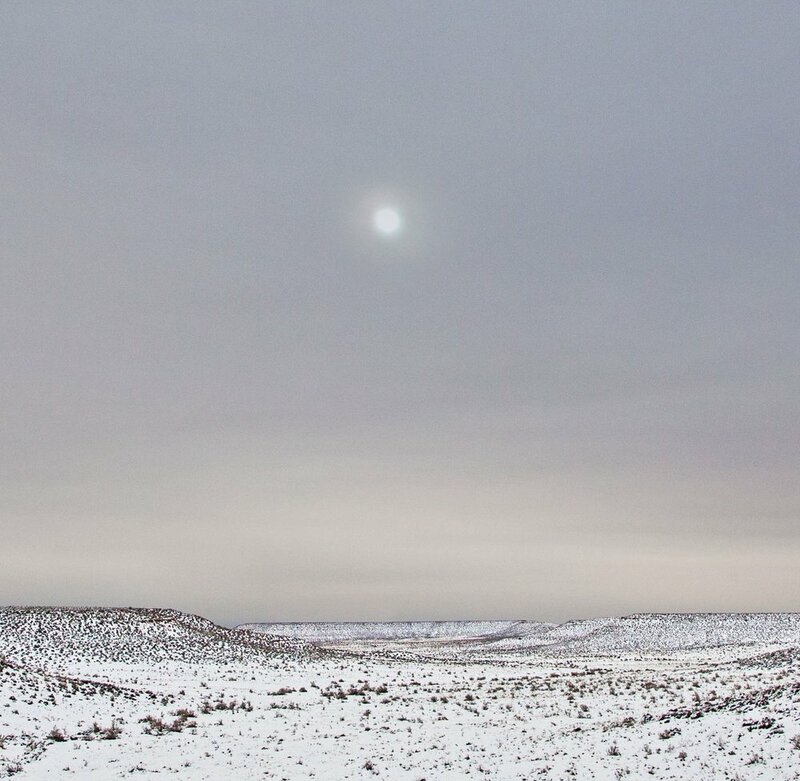 San Juan County’s modern-day inhabitants follow different faiths and have varying traditions of living on the land. 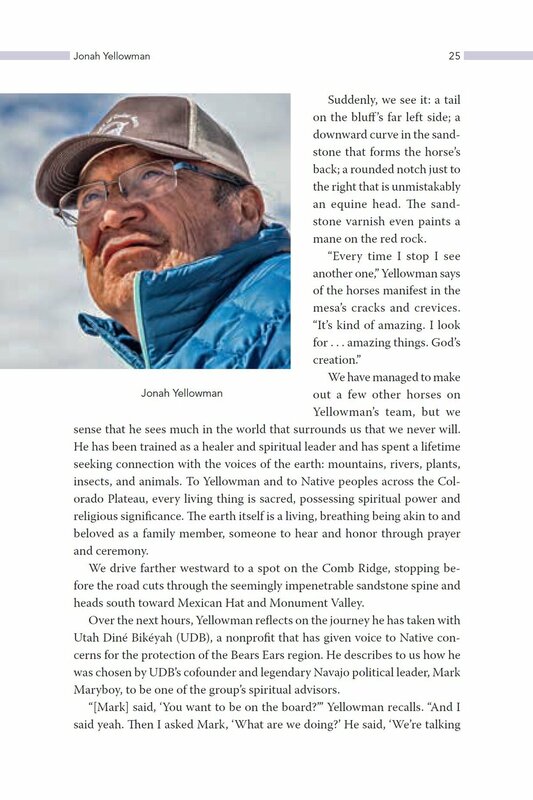 What binds them together is that, in their own ways, they each view the land as sacred, and feel that they are called to steward it so that it sustains their people today and into the future. Their competing visions for how best to do so animate one of the central struggles for the future of the American West. The voices in this book bring the debate to life with passion, authenticity and, above all, a deep respect for and love of their homeland. Click here to hear audio clips from voices at the heart of the Bears Ears debate. 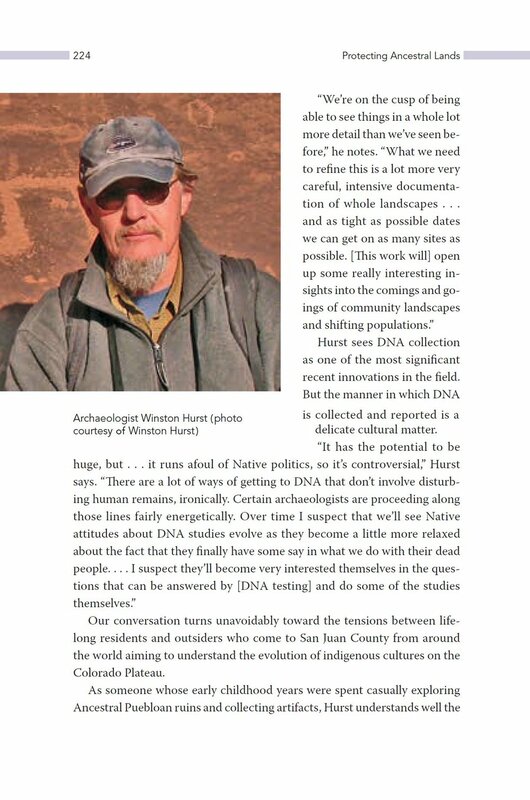 Starting in 2015, we interviewed tribal leaders and local citizens, archaeologists and activists, a range of county, state and national political leaders, and other stakeholders currently engaged in efforts to shape the future of Utah’s largest county. We learned of the efforts of five tribes and their supporters to protect nearly 2 million acres of public land surrounding the iconic Bears Ears buttes as a national monument – and of the fierce opposition by many locals to any new land designation that they believed might threaten their livelihood. The focus of our book expanded in scope to capture a rich narrative: a juxtaposition of Native and Mormon cultures; a clash among local, state and federal interests; a study of the complex forces at work in rural America today. Click on the arrows on the book cover above to preview content of the upcoming book. 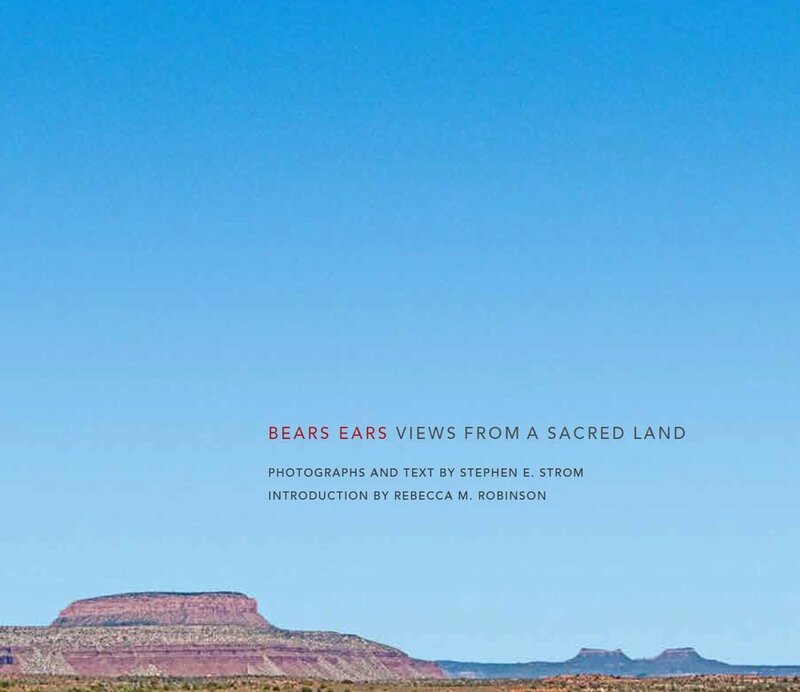 An accompanying photography book, Bears Ears: Views from a Sacred Land, provides a complementary exploration with a visual journey through Bears Ears National Monument, revealing a subtle and nuanced landscape and the cultural artifacts within it.